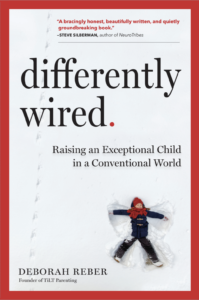 In this episode of the podcast, I’m talking with Dr. Michael Postma, a writer, consultant and presenter specializing in the education and well-being of twice exceptional (Aspergers, ADD, Dyslexia, etc) and intellectually gifted students and their families. Dr. Postma is also the Executive Director of SENG, which stands for Supporting the Emotional Needs of the Gifted, an organization whose mission it is to empower families and communities to guide gifted and talented individuals to reach their goals: intellectually, physically, emotionally, socially, and spiritually, as well as the author of the new book, The Inconvenient Student: Critical Issues in the Identification and Education of Twice-Exceptional Students. Dr. Postma and I had a honest and personal conversation about the many challenges facing gifted and twice-exceptional students, especially social and emotional challenges, and this is one of those episodes that just might leave you feeling pensive, concerned, and ignited all at the same time. If you are raising a gifted or 2e kid, I encourage you to check out all the resources and places for further information that Dr. Postma shares, especially those related to SENG. About Michael: Dr. Michael Postma is a consultant, speaker, and author dedicated to the holistic development of both gifted and twice-exceptional children through his company Agility Educational Solutions. Over the last two decades, Dr. Postma has worked in the field of gifted/talented education as both a teacher and administrator in the public school system and was the architect of the Minnetonka Navigator Program (MN), a magnet school for highly and profoundly gifted students. He was also the Executive Director at Metrolina Regional Scholars Academy, a charter school for gifted children in Charlotte, NC. Dr. Postma has multiple degrees. He obtained a B.A. in History from McMaster University in Hamilton, Ontario, Canada, a M.A. in Gifted and Talented Education, and, a Ed. D. in Educational Leadership (Critical Pedagogy) from the University of St. Thomas in St. Paul, MN. He currently lives in Surf City, NC and is the father of four children, three of whom are twice-exceptional.